Need a place to stay for a weekend of ATVing, snowmobiling, fishing or hunting? 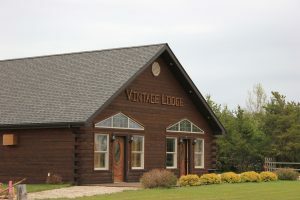 The Vintage Lodge in Woodridge is the perfect option for you, located in the midst of all the excitement! Four, cottage-style suites are at your disposal with natural pine interiors and full kitchenettes to make your stay feel like home. Featuring electric fireplaces, satellite TV and a private bedroom in each suite, the Vintage Lodge is perfect for any time of year. Visit www.vintagelodge.ca for more information! 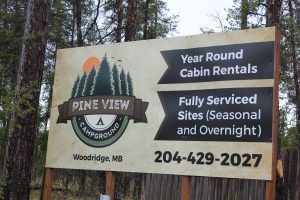 The Pine View Campground is located in the beautiful Sandilands Provincial Forest just outside of Woodridge. 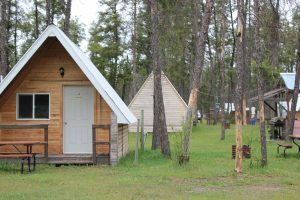 The campground boasts of year-round cabin rentals and an R. V. park. Their cottages are quaint and rustic, interspersed in the pine trees. Whether you’re in the area to hunt, fish or use the ATV trails, the Pine View Campground is a great option!